Premier League outfit Everton still retain an interest in Swansea City assist king Gylfi Sigurdsson despite closing in on a deal for Ajax’s Davy Klaassen, according to The Daily Mail. Dutch international Klaassen was in sensational form for the European giants last season, netting 14 goals and laying on nine assists to help the club finish second in the Eredivisie, as well as reach the Europa League final where they lost out to Jose Mourinho’s Manchester United. And the Toffees have been heavily linked with the 24-year-old as a result, with reports yesterday suggesting that a deal was close, yet recent reports also indicate that it won’t deter their interest away from Iceland international Sigurdsson. The 27-year-old arguably played the biggest part in keeping Paul Clement’s Swans in the Premier League last season, scoring nine goals and laying on 13 assists to help the South Wales outfit finish 15th in the division, seven points clear of the bottom three. 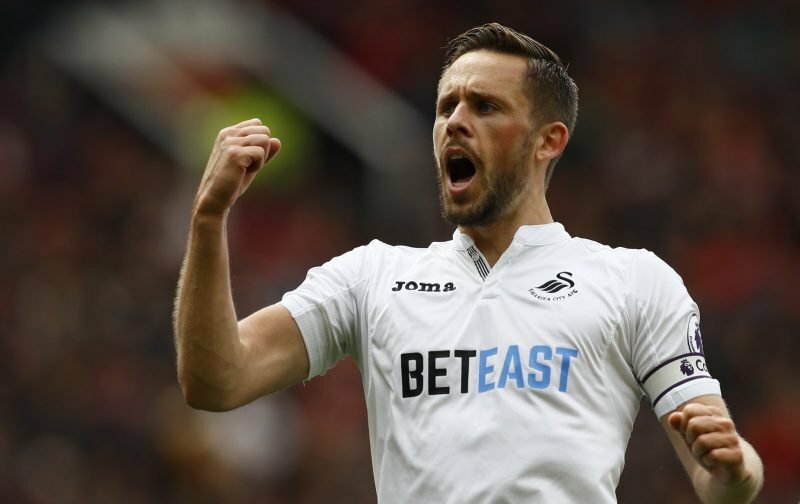 And Sigurdsson has earned much praise up and down the country for making key contributions at key times for Swansea, and it’s his sensational form which has attracted interest from the likes of Everton, as well as former champions Leicester City. The Daily Mail report that Sigurdsson remains the Toffees’ number one transfer target despite the move for Klaassen, and with Koeman clearly looking at how he can bridge the nine-point gap between his side and the top six, the Icelandic ace would certainly go some way to aiding that quest. Whether they can get a deal done for the £17 million-rated ace (as per Transfermarkt) remains to be seen, but with Klaassen expected to move to Goodison Park, it’s evident that Everton are serious about challenging the top six next season.